First off, let’s agree that the natural treatment of degenerative joint disease or any disease for that matter, gets rid of nasty side effects. BIg Pharma wants you to take more and more of their products and in doing so, you’ll need more products to correct the side-effects. When I practiced Internal medicine, I’d see patients come in with bags of drugs, when all they really needed is what I’ll talk about in this article. Natural treatment for arthritis is far from voo-doo medicine as you’ll soon see. Aside from weight reduction and avoiding activities that exert excessive stress on the joint cartilage, there is no specific treatment to halt cartilage degeneration or to repair damaged cartilage in degenerative joint disease (osteoarthritis) that is 100% proven. But-editorial note from me: Find an Orthopedist who will work with an Anti-aging doctor to do what I talked about in the cures for arthritis article. Symptoms of arthritis include pain, swelling, heat, tenderness, stiffness and decreased range of motion. What is osteoarthritis? If you have any doubts and are reading this article looking for that information, please read the article just linked for you first. The goal of natural treatment of degenerative joint disease is to reduce joint pain and inflammation while improving and maintaining joint function. Some patients with osteoarthritis have minimal or no pain and may not need treatment. Others may benefit from conservative measures such as rest, exercise, diet control with weight reduction, physical therapy and/or occupational therapy, and mechanical support devices, such as knee braces. These measures are particularly important when large, weight-bearing joints are involved, such as the hips or knees. In fact, even modest weight reduction can help to decrease symptoms of osteoarthritis of the large joints, such as the knees and hips. Medications are used to complement the physical measures described above. Medication may be used topically, taken orally, or injected into the joints to decrease joint inflammation and pain. When conservative measures fail to control pain and improve joint function, surgery can be considered. I discussed all of these conventional treatments and more in the general information article on the treatment for osteoarthritis. In traditional and new-age natural treatment of degenerative joint disease, resting sore joints decreases stress on the joints and relieves pain and swelling. Patients are asked to simply decrease the intensity and/or frequency of the activities that consistently cause joint pain. Applying local heat before and cold packs after exercise can help relieve pain and inflammation. Swimming is particularly well suited for patients with osteoarthritis because it allows patients to exercise with minimal impact stress to the joints. Other popular exercises include walking, stationary cycling, and light weight training. Exercise usually does not aggravate osteoarthritis when performed at levels that do not cause joint pain. Exercise is helpful for relief of symptoms of osteoarthritis in several ways, including strengthening the muscular support around the joints. It also prevents the joints from “freezing up” and improves and maintains joint mobility. Finally, it helps with weight reduction and promotes endurance. Physical therapists can provide support devices, such as splints, canes, walkers, and braces. These devices can be helpful in reducing stress on the joints. Occupational therapists can assess the demands of daily activities and suggest additional devices that may help people at work or home. Finger splints can support individual joints of the fingers. Paraffin wax dips, warm water soaks, and nighttime cotton gloves can help ease hand symptoms. Spine symptoms can improve with a neck collar, lumbar corset, or a firm mattress, depending on what areas are involved. Water therapy is one of the oldest forms of medicine, and there’s good reason why this practice has stood the test of time. Research has shown warm water therapy works wonders for all kinds of musculoskeletal complaints, including fibromyalgia, arthritis and lower back pain. So, how long and how hot should you soak? Or “sauna” OR shower? Go warm, not hot. Water temperatures between 92 and 100 degrees are a healthy range. You can push it to 102 degrees if you have no health issues other than arthritis. This goes for the temperature in your far infrared sauna. If you have cardiovascular problems, beware of water that’s too hot because it can put stress on the heart. Warm water is great for relaxing, but it is also good for moving if you are feeling stiff. Warm water stimulates blood flow to stiff muscles and frozen joints, making a warm tub or pool an ideal place to do some gentle stretching. To ease low back pain, trap a tennis ball between the small of your back and the bottom or back of the tub, then lean into it and roll it against knotted muscles. Add some salts. Data collected by the National Academy of Sciences show most Americans don’t get enough magnesium, a mineral that’s important for bone and heart health. One way to help remedy that: bathing in magnesium sulfate crystals, also known as Epsom salts. They’re relatively inexpensive, can be found at grocery and drug stores and can boost magnesium levels as much as 35 percent. Just another quick word on FIR saunas and pads: No studies but wow lots of anecdotal reports about relief. I have one and love it . You can get a small one or two seater and boy does it loosen you up and make you relax! This is one of the three major curcumoids found in the spice turmeric. It supresses inflammation and pain. Unlike steriods and NSAIDs, the anti-inflammatory activity of curcumin is not restricted to a single factor. It is a safe COX- LOX and COX-2 Inhibitor! Research shows curcumin is even better than it’s “mother spice”- turmeric for pain and inflammation due to arthritis. It inhibits COX-2, a pro-inflammatory substance. It inhibits the arachidonic acid cascade***. 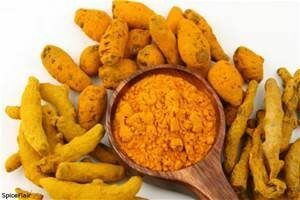 It is also a potent scavenger of super-oxide, with the anti-inflammatory activity and super-oxide scavenging property of curcumin proven to be correlated. Clinically, curcumin has worked as well as cortisone or phenylbutazone for rheumatoid arthritis, osteoarthritis and post-operative inflammation in five different studies. Curcumin inhibits pain and inflammation selectively inhibiting the ***arachidonic acid cascade through both the lipoxygenase (LOX) and cyclooxygenase (COX) pathways used by NSAIDs. Please refer to the osteoarthritis treatment article referenced earlier for a more scientific article on all of these medications and pain pathways. Curcumin has very similar anti-inflammatory action as NSAIDS, but without the side effects. COX-inhibitors and NSAIDS have dangerous side-effects; COX-2 inhibitors are required to include black-box warnings. Curcumin is safe, even at doses up to 8,000 mg per day. These kinds of doses are being used experimentally to inhibit “angiogenesis” or tumor spread in cancer patients and slightly lower doses are just amazing for brain health. This happens to be on my list of the anti-aging products you just can’t live without it’s so effective for so much. Curcumin also inhibits the COX pathway better than indomethacin, a currently prescribed strong mixed COX inhibitor. A double-blind crossover study in patients with “definite” rheumatoid arthritis compared the anti-rheumatic activity of curcumin (1200 mg/day) with phenylbutazone, a corticosteroid (prednisone-like) drug (300 mg/day). The curcumin therapy resulted in “significant” improvements over corticosteroids. Curcumin better relieved morning stiffness and joint swelling, and improved walking time. Best of all, curcumin was well-tolerated and produced no side-effects. Note that any good pharmaceutical grade curcumin supplement will contain curcumin + the other two main curcuminoids for maximal benefit. Of course ours does. Without going into the fanfare I went into about curcumin, there is ample evidence that fish oils are very anti-inflammatory and should be a part of everyone’s supplement regimen, with or without arthritis unless they have medical reasons prohibiting use such as being on anti-coagulants. What else do I recommend for my patients? Of course for many reasons, everyone takes curcumin and fish oils. I use two other products in combination to treat patients and AWS consultation client and members who have osteoarthritis. Everyone is thrilled because they don’t need toxic drugs and combining these two products really works. I’m only discussing products here because I am asked for recommendations and want to be perfectly honest. The first product called Joint Rejuv™ has been studied extensively. It is called a “medical food”. It’s obviously pharmaceutical grade, only sold via doctors as is product #2. Joint Rejuv™ inhibits COX-1, COX-2, 5-LOX inflammatory pathways just like the NSAIDs but better! It stimulates joint repair, and provides nutritional building blocks for cartilage and ligaments. It increases joint mobility and function. It brings potent antioxidant protection to reduce joint deterioration. It is not associated with the negative side effects that are commonly seen with NSAIDs & other drugs. It is safe for patients on warfarin (Coumadin) and anti-platelet drugs such as plavix. This plus the curcumin (Cumetra) may be sufficient for many people with Mild to semi-moderate osteoarthritis. However for those with more cartilage loss and more pain I add another patented proprietary product not available other than via doctors called Arthroben Forte™ Plus. Why add Arthroben Forte™ Plus? ArthroForte™ Plus contains a comprehensive array of joint supportive nutraceuticals (glucosamine, MSM and more) as well as the tissue regeneration factor or TRF (as Cyplexinol™ PRO). Note that I will discuss glucosamine and MSM in a bit. TRF is a bone-derived complex containing collagen and biologically active proteins known as Body/Bone Morphogenetic Proteins (BMPs). These BMPs are the components that activate the cartilage-forming process, which is necessary for joint maintenance and regeneration. They also have an anti-inflammatory effect as they help to suppress major inflammatory cytokines. When these “bad” (and note there are “good” cytokines) are suppressed, this will lead to the restoration of joint and cartilage homeostasis, and relief of pain. Over and over again, the strong curcumin, and the two products mentioned above are the “ticket” for many of my patients and AWS clients for natural treatment for arthritis and subsequent relief of their pain. Capsaicin (trans‐8‐methyl‐N‐vanillyl‐6‐nonenamide) is obtained from hot chili peppers. It is used as a topical analgesic for a variety of conditions characterized by pain. A meta‐analysis of three double‐blind, placebo‐controlled randomized controlled trials was published using capsaicin topically for the treatment of primary OA. The results in all three trials favored capsaicin cream for improvements in pain and joint tenderness, although only one of these trials reached the statistically significant level (P=0.05). The meta‐analysis showed that capsaicin cream was better than placebo in the treatment of OA. Percentages weren’t given, surprisingly enough. An additional randomized clinical trial which was not included in the above analysis will now be described. 113 patients suffering from OA of the knee, ankle, elbow, wrist or shoulder were studied. One hundred and thirteen patients were assigned randomly to receive 0.025% capsaicin cream or vehicle cream as placebo. Cream was applied to joints four times daily for 12 weeks. At the end of 12 weeks of treatment, patients’ and physicians’ global (5‐point pain scale) evaluations showed that a significantly greater percentage of capsaicin‐treated patients improved compared with vehicle‐treated patients (P=0.03). Overall, capsaicin‐treated patients had significantly greater improvement in tenderness on passive range of motion and physician palpation than vehicle‐treated patients. However a 5‐point severity scale for “today’s pain” and secondary outcome measures of morning stiffness using a two‐question method and a modified health assessment questionnaire showed no significant differences. But it seems that some products such as this which are “touted” as moderately strong relief have been hi-jacked by Pharmaceutical companies who seem to want to sell you this stuff by the boatload. This ingredient which, upon inspection, has not more evidence than the others which I’ll be running through is apparently a pharmaceutical “darling”, bringing in hundreds of millions of dollars. My advice-it if helps you, fine-use it. If you try it and it doesn’t-don’t! Extract of avocado and soya bean, termed avocado/soybean unsaponifiables (ASU), is made of unsaponifiable fractions of avocado oil and soya bean oil. Preclinical studies suggest that a 1:3 to 2:3 ASU mixture may be active in OA. Two well done studies suggest that ASU might be indeed useful in the future. In 1997, Blotman et al conducted a 3‐month study in a mixed group of patients suffering from either knee or hip OA. Rheumatologists evaluated the effectiveness of ASU in reducing NSAID useage. Patients were assigned randomly to take either one capsule of 300 mg ASU or one indistinguishable placebo capsule daily for 3 months. All patients took one of seven predefined NSAIDs during the first 45 days of the trial and were permitted to resume the same treatment, if needed, during the second half of the trial. The effectiveness of the ASU was measured by taking the proportion of patients who resumed NSAID consumption as well as the delay before they would take an NSAID again.The proportion of patients resuming NSAID therapy and the time spent off the NSAID drug each showed a significant difference in favor of the ASU treatment. Patients’ overall pain and function ratings were significantly better in the experimental group. Improvements were more evident with hip OA than knee OA. In another study a mixed sample of 164 patients diagnosed with OA of the knee or hip into two groups receiving either a daily capsule of ASU (300 mg) or a placebo capsule in a 6‐month trial. After a 25‐day washout period, NSAID intake was allowed if judged necessary. Effectiveness was measured primarily according to pain and function which significantly favored the ASU group. Improvements appeared to be better in patients with hip OA rather than knee OA. Fewer patients in the ASU group required NSAIDs , suggesting that ASU may help to reduce NSAID consumption in patients with OA. 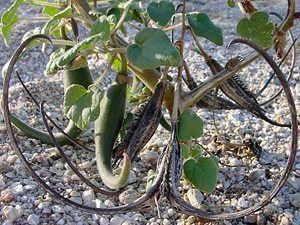 Devil’s claw (Harpagophytum procumbens) is a medicinal plant native to Africa. Its active ingredients are likely iridoid glycosides. In one study, 50 OA patients were given capsules containing 400 mg Harpagophytum extract (with an iridoid glycoside content of 1.5%) or placebo at a dosage of two capsules three times daily for 3 weeks. One month after the beginning of the treatment, the patients were assessed. Outcomes were assessed on various pain scales and situations. Administration of Devil’s claw was associated with a statistically significant decrease in pain severity. Improvements were more frequent in moderate than in severe cases. In another well done study 89 patients with pain due to degenerative joint disease were given two capsules three times daily for 2 months. The contents of the capsules were 335 mg of powdered Harpagophytum with an iridoid glycoside content of 3%. The clinical parameters of success, measured on days 0, 30 and 60, were severity of pain and joint mobility. Results revealed a significant drop in pain intensity and a significant increase joint mobility-most notably in the spine and hips. Moorspa makes a very effective “joint balm” containing extract of Devil’s claw which is in our arthritis pain relief kit you’ll see at the end. The reason I’m discussing the studies and herbal formulas below is because I”M ASKED “Dr.Kim what about this or this or this”: so I’m covering it all for you in this one article so you don’t need to look elsewhere when you have questions about natural treatments for osteoarthritis. Willow bark is one of the longest-used herbs in treating inflammation. In fact, patients during Hippocrates’ time chewed on willow bark to help treat inflammatory conditions. And….it is how aspirin “came to be” as all pharmaceuticals are a chemical alteration of “something natural” for the purpose of patents and profits. Researchers at The University of Maryland Medical Center have reported that the herb shows promise in relieving osteoarthritis-related joint pain, particularly in the knees, back, hips, and neck. This was not a randomized clinical trial. In another study, 78 hospital in‐patients suffering from OA of the knee or hip joints received two tablets twice daily of either willow bark extract or placebo tablets for a 2‐week period. Drug effectiveness was measured by indices of pain. All patients also received regular physical therapy. Another “outcome measure” was that of physical function. Although it was found to be better in the treatment group compared with placebo,this was not statistically significant and no differences in stiffness were observed between the two groups. A significant positive effect of the active medication was confirmed by overall assessments both by the physician and by the patients . Surprisingly enough, there was no significant correlation between the different physical therapy methods and the willow bark. This suggested that the observed medication effect was not influenced by the physical therapy. Due to the conflicting data of this study and the non-conformity of the UMMC, with no other notable studies in sight, willow bark has been largely abandoned. I wonder, though, doesn’t it seem likely that the “natural” form of aspirin would have some beneficial effect??? Hmmm. Methinks we’ll never know. 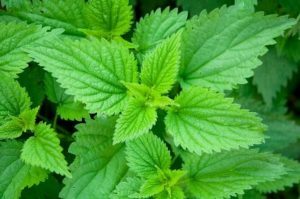 Twenty‐seven patients with OA pain at the base of the thumb or index finger received topical treatment with stinging nettle leaf (Urtica dioica) followed by a placebo treatment. The placebo was the white deadnettle leaf which looks like a stinging nettle leaf but has no sting. Stinging nettle leaf was applied daily for 1 week to the painful area. After a 5‐week “break”, the placebo treatment was applied for a 1‐week period. After 1 week of treatment with stinging nettle, reductions in both pain and overall disability (Score on Stanford Health Assessment Questionnaire) were significantly larger than with the while deadnettle. However the value of “statistical significance” was not reached. No significant differences in either score were observed following the 5‐week washout period. There was a non‐significant decline in daily use of analgesic and anti‐inflammatory drugs following 1 week of treatment with stinging nettle. Articulin‐F is an Ayurvedic herbal-mineral formulation containing Withania somnifera root (450 mg), Boswellia serrata oleo‐gum resin (100 mg), Curcoma longa rhizome (50 mg) and zinc (50 mg.) In one clinical trial 42 degenerative joint disease patients were randomly assigned to receive either two capsules of the Articulin-F or identical placebo capsules once daily. Each treatment was given for a period of 3 months and then (after a break of 2 weeks) both sets of patients were transferred to the other treatment for a 3 months. Treatment with the herbal-mineral formulation improved the severity of pain (statistically significant) and disability score (not statistically significant.) Other parameters, including morning stiffness, grip strength and joint score, showed favorable but non‐significant trends. Eighty‐two patients with OA or rheumatoid arthritis, with moderate disability and pain, were randomly allocated to two groups in a study to examine the efficacy of this herbal mixture. 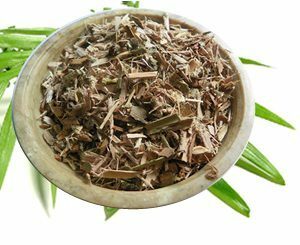 Reumalex is a herbal medicine containing 100 mg Pulv (pulverized) White Willow bark, 40 mg Pulv Guaiacum Resin BHP, 35 mg Pulv Black Cohosh BHP, 25 mg Pulv Ext Sarsparilla 4:1 and 17 mg Pulv Ext Poplar Bark 7:1 . One group took two tablets of Reumalex while the other took two indistinguishable placebo tablets for a 2‐month period. Subjects with OA showed a slightly statistically significant difference in pain only compared with placebo. Mean mobility and function scores remained, on average, unchanged throughout the study. There were no differences in analgesic consumption, which was monitored as a secondary outcome measure. To me, this is the most promising “concoction” in this group of herbals since pain might be studied differently if the patients were not allowed to have “drugs.” Just my take. Mixed data but around for a while and many people swear by it for arthritis pain! Because of the existence of pharmaceuticals and now the advent of the “medical foods” and “fancy supplements” I’ve described, I highly doubt that what is written about here will get much future “air time” in the scientific world of studies. However I would not rule them out for efficacy-not at all. Anyone who has seen how well their dog feels on the following products is a believer already. Count me in. These two things are components of normal cartilage.There are conflicting studies on glucosamine and chondroitin, some demonstrating a beneficial effect on osteoarthritis pain. Others, including the NIH-sponsored multicenter Glucosamine/Chondroitin Arthritis Intervention Trial (GAIT), did not show benefit for the primary outcome of reducing pain. More recently another study also found that chondroitin did not slow down cartilage damage or reduce knee pain. Therefore use of chondroitin has fallen largely out of favor. But the news is better for glucosamine. A review article of 18 trials investigating the effectiveness of glucosamine sulfate in treating osteoarthritis was published in 2005. A further four trials published since 2007 evaluated the effect of glucosamine sulfate in the treatment of hip and knee osteoarthritis. Seven trials out of 13 which compared glucosamine sulfate to a placebo found that the glucosamine sulfate was significantly better than the placebo in relieving pain. In all 13 well done clinical trials, the number and severity of side-effects reported by participants who were given glucosamine sulfate weren’t significantly different from those reported by participants who got the placebo. Three trials out of five found that glucosamine sulfate was significantly better than the placebo in improving problems associated with walking and other daily activities. Two trials out of three found that glucosamine sulfate was significantly more effective than NSAIDs in reducing pain, while the third found that both treatments had similar effects. One trial out of two found that glucosamine sulfate was significantly better than NSAIDs in improving physical function, while the second trial found that both medications had similar effects. Three trials out of four found that the number and severity of side-effects reported by participants taking glucosamine sulfate were significantly less than those reported by participants who were given NSAIDs. Methylsulfonylmethane (MSM) is a popular dietary supplement used as a single agent and in combination with other nutrients, and purported to be beneficial for arthritis. However, there is paucity of evidence to support the use of MSM. In fact, it just “caught on” in veterinary and human consumption and when this happens with a non-pharmaceutical preparation there is little chance it will be properly studied. Bottom line is if it’s working for you, use it over NSAIDs or other drugs please. Aloe vera is popular for treating small skin abrasions and sunburns. This same type of product may be applied topically to soothe achy joints. This herb is also available in whole form from the leaves of the plant. The National Center for Complementary and Alternative Medicine (NCCAM) says that oral aloe vera can cause decreased blood sugar and gastrointestinal side effects, such as diarrhea. Topical aloe vera, on the other hand, does not cause any side effects. There are not any well done studies regarding the efficacy of aloe vera for the treatment of osteoarthritis. This herb is derived from the gum of boswellia trees, indigenous to India. Also called frankincense, this herb is thought to work by blocking leukotrienes. Leukotrienes are substances that can attack healthy joints in autoimmune diseases such as rheumatoid arthritis. By blocking leukotriene action, the herb therefore must have some anti-inflammatory properties. 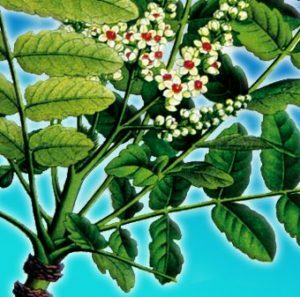 There is promising evidence of boswellia in animal studies, but a complete lack (so far) lack of human trials. This is another (presumably) anti-inflammatory herb that may reduce swelling in degenerative joint disease. This herb, made from a tropical vine, dates back to the Incas. It has been studied as an immune booster. 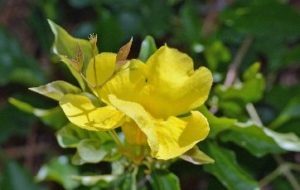 When used in arthritis, especially rheumatoid arthritis, cat’s claw may overstimulate the immune system, potentially making arthritis worse. According to the University of Maryland Medical Center (UMMC), they have a few small but non-statistically significant studies that have shown cat’s claw can help with osteoarthritis pain and RA swelling. However, there’s no proof that this herb can prevent further joint damage. Leaves and extracts of this plant are used in oral medications, and topical oil extracts are used for a variety of conditions. Topical forms of eucalyptus leaves are used to treat arthritis pain. These plant leaves contain tannins, which may be helpful in reducing swelling and the resulting pain that arthritis causes. Some users follow up with heating pads to maximize the effects of eucalyptus on swollen joints. There are a paucity of studies but as always, if topical eucalyptus is helping you, go for it! This is an Ayurvedic herbal preparation containing Cyperus rotundus, Tinospora cordifolia, Saussurea lappa, Picrorrhiza kurroa and Zingiber officiniale. One well done study compared this to the NSAID, diclofenac, in the treatment of a mixed sample of 60 patients with OA, non‐specific arthritis or rheumatoid arthritis. Patients were allocated randomly to take 1 capsule (50 mg) of either Eazmov or diclofenac three times daily after meals for 6 months. They were then assessed weekly for pain severity, morning stiffness, and grip strength. The clinical efficacy of Eazmov was found to be statistically significantly inferior to that of diclofenac regarding pain severity. Sixty‐seven patients with OA of the hip or knee were randomized to three treatment periods of 3 weeks each in a placebo‐controlled crossover study of ginger extracts and ibuprofen. Either 170 mg capsules of ginger extract , 400 mg ibuprofen tablets or placebo were administered three times daily. There was an initial 1‐week “no meds” period. Acetaminophen was administered as a rescue drug for pain relief during the study. A highly significant ranking of effectiveness (pain and disability) of the three treatment periods was found, as follows: ibuprofen >ginger extract>placebo. The same trend was found for acetaminophen consumption being needed for “rescue” pain treatment. Significant differences in these tests between ibuprofen and ginger extract as well as ibuprofen and placebo were shown. 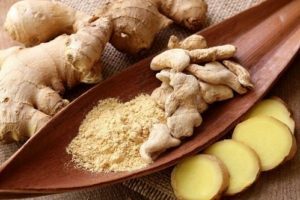 No differences between ginger extract and placebo were observed. The active component of green tea called epigallocatechin gallate has even been used to reduce inflammation in the body. It is possible that green tea can be used to treat arthritis inflammation in the form of beverages, tablets, or tinctures. A 2010 study showed that indeed this extract of the green tea leaves ( Camellia sinensis) might help both osteoarthritis and RA patients. Many more studies are needed to prove the potential benefits of green tea. Gitadyl is a herbal preparation containing 110 mg feverfew, 90 mg American aspen and 60 mg milfoil. In the one well done study “out there”- 35 patients who were taking NSAIDs for mild to moderate OA were given either Gitadyl (three tablets daily) or ibuprofen (400 mg three times daily) administered for 42 days. Patients were allowed to take dextropropoxyphene (darvon) as a rescue medication for pain relief. The primary outcome measures of pain (when resting and working) and walking ability were assessed. A non‐significant trend of symptom reduction was observed in both groups, with no significant difference between groups. Gastrointestinal complaints were more frequent in patients treated with ibuprofen. I hope you have enjoyed this article and that you have learned how to prevent your arthritis from getting “out of hand.” Obviously drugs have millions and millions of pharmaceutical industry dollars behind them for more studies than do herbal or Aruvedic preparations. I would hope that you have learned the basics of what you need to do from other articles. Let me mention that you might want to read about the causes of osteoarthritis to see if you’re doing anything to worsen your symptoms. You need to normalize your weight, eat an anti-inflammatory diet, take known, proven safe total-body anti-inflammatory supplements such as curcumin and fish oils for total health-not just joint health. You need to exercise wisely for the same reason. Use a heat pack pre-exercise and a cold pack post-exercise as a rule of thumb. Keep your muscles strong to pad your joints. Make sure you weight train the muscles surrounding affected joints with care and get as much “joint padding” as you can. The supplement acetyl l carnitine helps you put on muscle mass. When it comes to other practices, remember things like water therapy, far-infrared sauna and wraps,and non-drug topical preparations. Keep track of your cartilage with X-rays. If you are losing it and the natural remedies I have been through aren’t holding you, check into PRP-stem cell therapy or even hyaluronic acid injections which are all discussed in the cures for arthritis pain article. The reason I gave you a list of everything under the sun being used, studied, tried by others for arthritis relief is that they all have a lower side effect profile than drugs. Do your research and see what works best for you. And as a last thought, DO control your stress. Stress intensifies all pain and increases cortisol levels. High cortisol levels suppress the function of your immune system and just might make arthritis worse. So will a bad diet-so come back to the article on foods to avoid with arthritis. Arthritis is not fun but it certainly doesn’t mean you need to sit in a rocking chair and give up the fight. There are many techniques and products I have shared with you which will help and I hope you will use them rather than leaky gut causing arthritis pharmaceuticals.